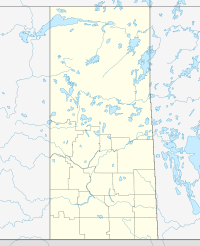 St. Gregor (2011 population 98) is a village in St. Peter Rural Municipality No. 369, Saskatchewan, Canada, located approximately 20 km west of the town of Watson on Highway 5. ^ "2011 Community Profiles". 2011 Canadian Census. Statistics Canada. July 5, 2013. Retrieved 2009-02-24. This page was last edited on 28 May 2018, at 21:02 (UTC).